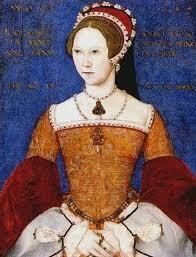 Mary I, aka ‘Bloody Mary’, was the first child born to Henry VIII, and the only surviving child of Katherine of Aragon. She was a staunch Catholic and killed many Protestants. Ruled 1553-1558. What kind of tone does the novel’s opening scene instantly set, and what does it tell us up front about Hannah’s and Elizabeth’s characters? If you’ve read other fictional accounts of Elizabeth’s life, how does this portrayal of her compare? Philippa Gregory’s ‘The Queen’s Fool’ (2004). I think the opening of the novel shows both Hannah and Elizabeth as very strong characters, but both have their secrets. It’s an interesting opening to contrast a very real person in Elizabeth I, whose life is so well-known, and an entirely fictional one, Hannah. Somehow their lives seem to seamlessly intertwine which is quite clever. I’ve read many other fictional accounts of Elizabeth’s life, but as she doesn’t play a very important role in the developing story in The Queen’s Fool, it’s difficult to compare, because in most stories she appears in she is the main character. In public, Hannah plays the fool to Mary’s queen, but in private their bond is more intimate. Why is the relationship valuable to each of them, both personally and politically? How is Hannah’s connection to Elizabeth different? 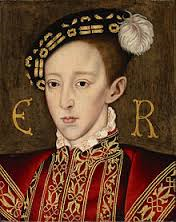 Edward VI by William Scrots 1550. Which woman would it be? Mary and Elizabeth knew that under Henry VIII’s will the crown should pass first to Mary then to Elizabeth if Edward died without heirs. Comparing Monarchs: does it work? Does it add anything to our knowledge? Why do we do it? Monarchs are often compared to each other, but does it really accomplish anything, and if so, what? Why do we do it? 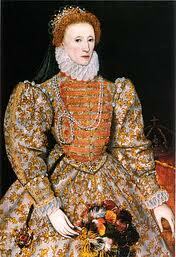 Elizabeth I and Mary I are often compared to each other as sisters and queens. Elizabeth II is often compared to her namesake, Elizabeth I. The wives of Henry VIII are also compared to each other, particularly the ones which replaced each other like Katherine of Aragon, Anne Boleyn and Jane Seymour. Author Helene HarrisonPosted on Oct 21, 2014 Jan 27, 2015 Categories Elizabeth I, Essays, Mary I, Plantagenets, Tudors, Wars of the RosesTags Anne Boleyn, Edward IV, Elizabeth I, Elizabeth Woodville, Henry VI, Henry VIII, Jane Seymour, Katherine of Aragon, Margaret of Anjou, Mary I, Matilda, Richard IIILeave a comment on Comparing Monarchs: does it work? Does it add anything to our knowledge? Why do we do it? How Far was Mary I Influenced by the Life and Memory of her Mother, Katherine of Aragon? The education of Mary I was influenced mainly by her mother and her tutor, Juan Vives. They expected a lot from her – she was not taught only feminine pastimes, but also how to rule a country. [i] Mary had experience in ruling a court and country from a young age, since she was Princess of Wales until such a time as Henry VIII had a male heir, so she took up residence in that country. It was an unusual education for a woman, even for a princess, but Katherine’s own parents were unusual in that respect. Author Helene HarrisonPosted on Oct 19, 2014 Jan 27, 2015 Categories Henry VIII, Katherine of Aragon, Mary ITags Anne Boleyn, Divorce, Ferdinand II of Aragon, Great Matter, Henry VIII, Isabella I of Castile, Juan Vives, Katherine of Aragon, Mary I, SpainLeave a comment on How Far was Mary I Influenced by the Life and Memory of her Mother, Katherine of Aragon?